How to beat a hangover! You have worked hard on your fitness and BURN score but now its’ time to click of those cleats and have a little social at RIDE! Join us on Saturday, JULY 22nd for a free wine bar and beer sponsored by Amuse Bouche 6:30pm – 10pm. Double up on multivitamins: Hangovers aren’t all about dehydration, the main issues are inflammation and oxidative stress. 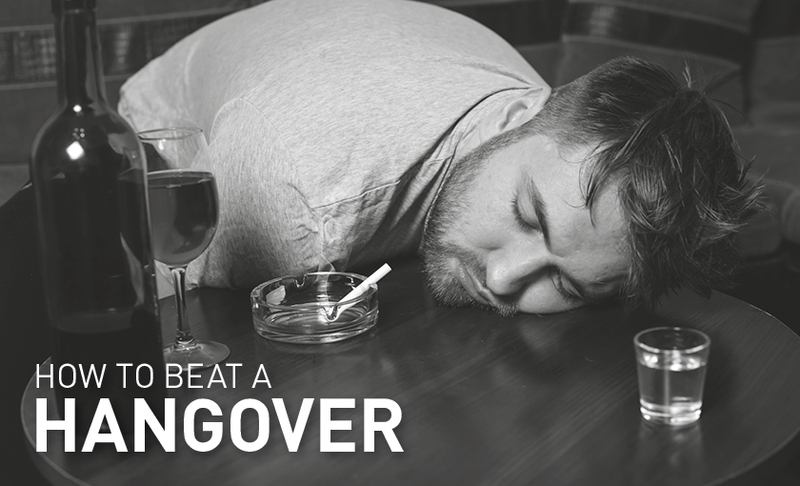 It’s much easier to prevent a hangover than it is to deal with it the next morning so mitigate the damage with loading up with antioxidants the night before. Pop an extra multivitamin or even drink PRESS London GARDEN 2 drink which is full of beetroot and ginger. Beetroot’s betalain pigments, display potent antioxidant, anti-inflammatory and chemo-preventive activity in vitro and in vivo. It is also a great post BURN and workout recovery drink as exercise also creates inflammation and oxidiative stress. Order a burger instead of a salad: The severity of a hangover isn’t just related to how much you drink, but how you metabolize alcohol which depends a lot on what you eat. Make sure before you start drinking you have eaten a meal containing a high concentration of amino acids and B vitamins that help process the nasty byproducts of alcohol. Red meat is the winner there but if you are a vegetarians try to supplement with B vitamins or make a vegetarian protein shake. Stick with clear liquor and no sugar mixers: Vodka and gin have fewer toxins and impurities than dark ones like whiskey and rum and try to only drink the good stuff. The top-shelf stuff is filtered the most to remove impurities and toxins, which can make your hangover less severe. And avoid the sugary mixers as this is a sure way to spike your glucose leading to a massive crash of fatigue and headaches the next day. You would never sit down and drink six cans of regular coco-cola’s on a Wednesday afternoon, so why do you think your body can handle the same sugar content on a Saturday night! Minimise the crashes and drink soda water or alternate with real fruit juice as at least then you may get some vitamins in your drink. Skip the smokes (everyday but especially when drinking): Researchers found that when students drank heavily, smoking significantly increased the risk and severity of a hangover, according to a study published in the Journal of Studies on Alcohol and Drugs. Pop an ibuprofen: If you have really overdone it then before you go to sleep pop on anti-inflammatory drug. Anything that contains ibuprofen or Naprosyn directly attacks the inflammation that alcohol causes. Always avoid painkillers that contain acetaminophen though as you can seriously damage your liver and kidneys if you take them with alcohol. Order the eggs the next day: Eggs are a great source of cysteine, which helps break down a headache-causing toxin that’s produced when your body digests alcohol. Go with a plain poached egg or dry omelet, which won’t upset your stomach as much as greasy bacon or heavy breakfast meats. Avoid herbal teas the next day: In a Sun Yat-Sen University experiment, researchers found that herbal teas make your body process alcohol more slowly, so your hangover lasts extra long.